The extremely high precision of the recent Gaia Data Release 1 (DR1) catalogue of star positions and velocities is due in part to very accurate tracking of the Gaia satellite itself from the ground. 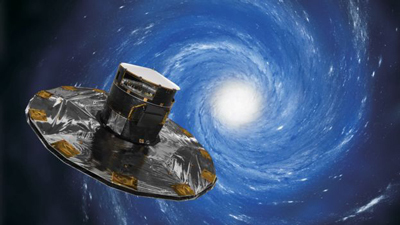 Delta-DOR radar tracking by the European Space Agency's Deep Space Antenna network achieves this accuracy, but the network has many missions to cater for and cannot track Gaia every day. Therefore the Liverpool Telescope (LT) and the European Southern Observatory's VLT Survey Telescope (VST) also track Gaia, with the Las Cumbres Observatory's twin Faulkes Telescopes providing backup in case of problems with the LT and VST at the same time..